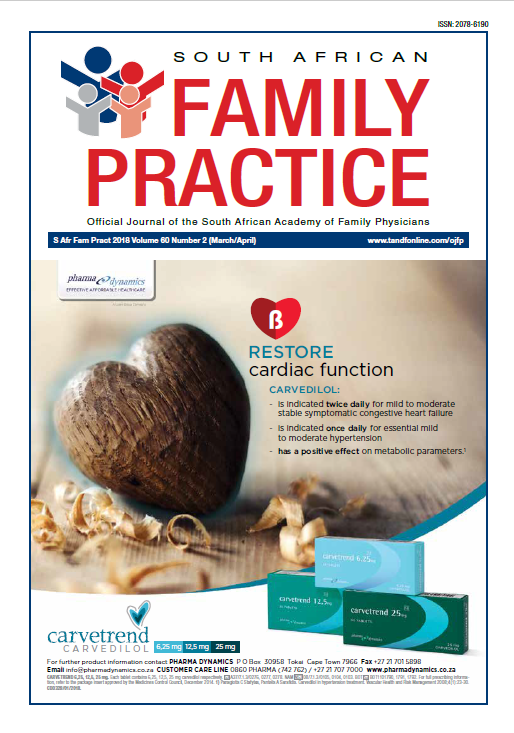 South African Family Practice (SAFP) is the official journal of the South African Academy of Family Physicians, and is a peer-reviewed scientific journal, which strives to provide primary care physicians and researchers with a broad range of scholarly work in the disciplines of Family Medicine, Primary Health Care, Rural Medicine, District Health and other related fields. 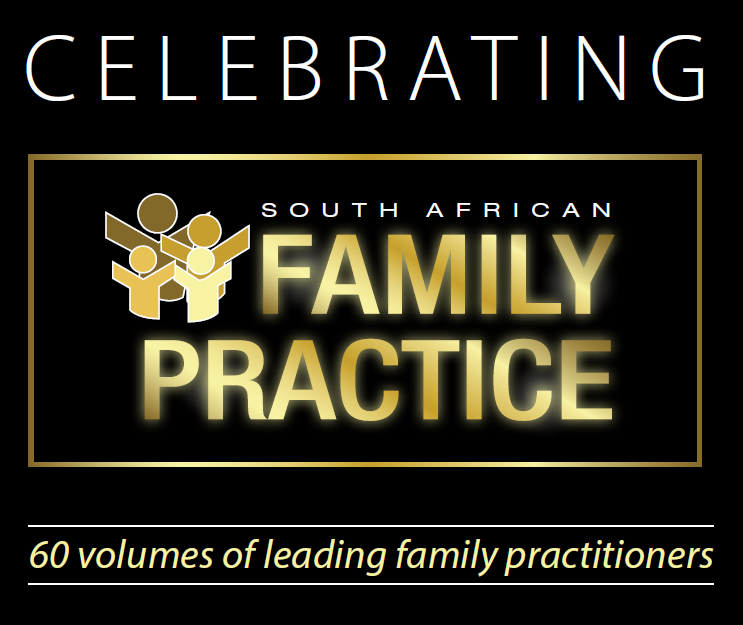 SAFP publishes original research, clinical reviews, and pertinent commentary that advance the knowledge base of these disciplines. The content of SAFP is designed to reflect and support further development of the broad basis of these disciplines through original research and critical review of evidence in important clinical areas; as well as to provide practitioners with continuing professional development material. SAFP adheres to the international acceptable editorial standards, as published by The International Committee of Medical Journal Editors (ICMJE).